Neymar the Brazilian superstar is set to become the endorser of his own brand, NJR. Designed by the advertising agency Loducca, the logo features the colours of Brazil with a N, J and R (Neymar Junior) with the N looked to match Neymar‘s Brazil number. The typography brings class and elegance and the colours are articulative to Neymar’s club and country. President of Loducca commented in NJR saying “A good image caused by the attributes represented in the visual identity are the decisive factors in the success of a company.” Neymar has been one of the signature wearers of the Nike Mercurial Vapor and Green Speed ranges. 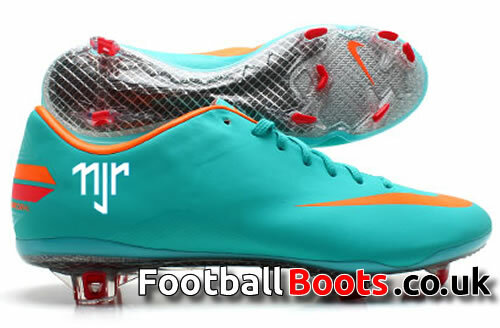 Neymar linked with a move to Europe in recent seasons should wear the logo in next year’s release of the Nike Mercurial Vapor IX.